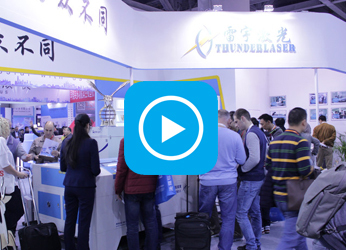 On 23-26 February 2016, Thunder Laser attended Guangzhou DPES Sign Fair, the largest Exhibition of advertising and LED tech in South China area. During the time, we displayed our latest laser cutter — NOVA Series. 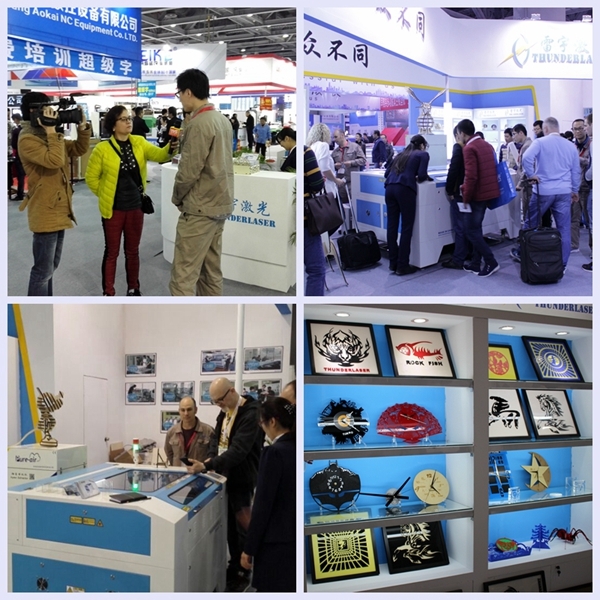 Distinctive Thunder Laser attracted customers on the exhibition with the charm of dedicated professional, which is also philosophy and values of our enterprise. 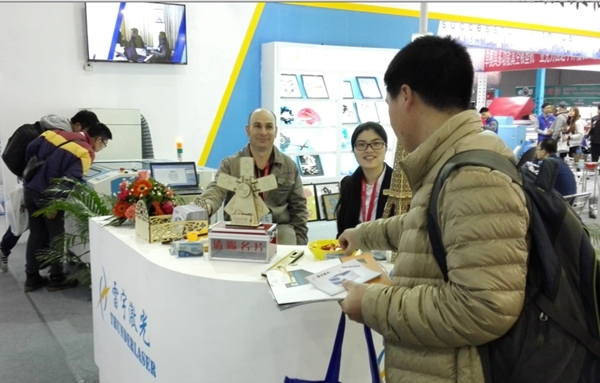 Receiving numerous customers and exhibitors with open heart, and after the technical interpretation, we got positive recognition from customers, supplier, and even laser cutter peers. 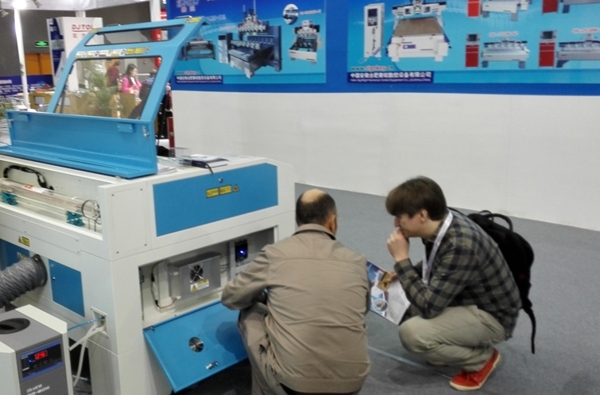 Except for our latest laser system – NOVA series unique charm, Thunder Laser is also famous on this exhibition for the unique sample crafts on display and the leading flexible application of laser cutting engraving machines used in promotion of crafts and creativity industry. Though there is still long way to go, Thunder Laser will never stop our terminate pursuit on quality and taste of our machines. We believe laser cutter will become the new favourite of the creativity occupation/ industrial, and lead to a new wave of fashion. 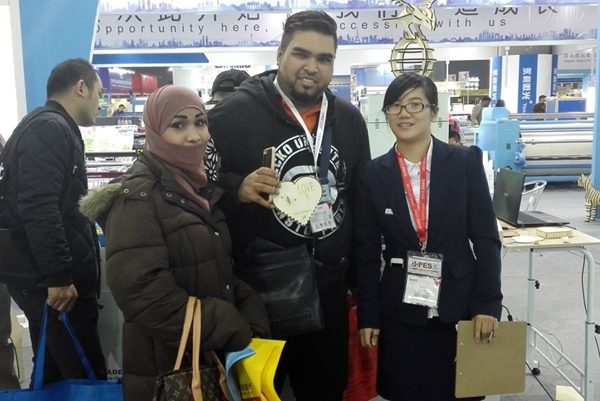 Unique fashion design of our laser cutter brought the attention of many buyers and other exhibitor also came to show their appreciation. Even reporters from TVS3 television were attracted by our unique corporate culture, and gave us a special interview. Thunder Laser New Zealand distributor Mr Mike Carrigan help to introduce the laser cutter details to customer from Ukraine. Customers were so happy to get the souvenir made by Thunder Laser. Visitors were satisfied with the candy treated.